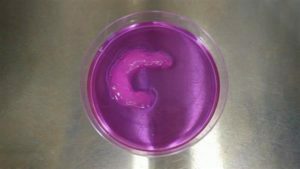 The common way of making bioengineered tissues is to embed living cells within 3D printed structures, however, the big challenge has been organizing the cells in 3D bioprinted gels, so that the engineered tissue more closely mimics natural tissues. At North Carolina State University, researchers have developed a way to improve the characteristics of artificial tissues by using ultrasound to align living cells during the biofabrication process. “We’ve reached the point where we are able to create medical products, such as knee implants, by printing living cells,” says Rohan Shirwaiker, the corresponding author of a paper on the work and an associate professor in NC State’s Edward P. Fitts Department of Industrial & Systems Engineering. Researchers developed their UAB method using a BioAssemblyBot direct ink writing (DIW) 3D bioprinter.The ultrasound chamber allows ultrasonic waves to travel across the area where bioprinter prints living cells, reaching the alignment of the cells. These ultrasonic waves flow from one wall toward the opposite, bouncing back and creating a “standing ultrasound wave.” The soundwaves effectively align the cells into rows, and as a structure is printed and cells positioned within, they can be arranged to make specific patterns and orientations. One of the advantages of the UAB technique is that it is relatively inexpensive. “There’s a one-time cost for setting up the ultrasound equipment – which can use off-the-shelf technology. After that, the operating costs for the ultrasound components are negligible. And the UAB technique can be used in conjunction with most existing bioprinting technologies.”, as Rohan Shirwaiker stated. The team now has a patent pending for the UAB technique and is looking for industry partners to take it into commercial use. The paper, “Ultrasound-assisted biofabrication and bioprinting of preferentially aligned three-dimensional cellular constructs,” is published in the journal Biofabrication.